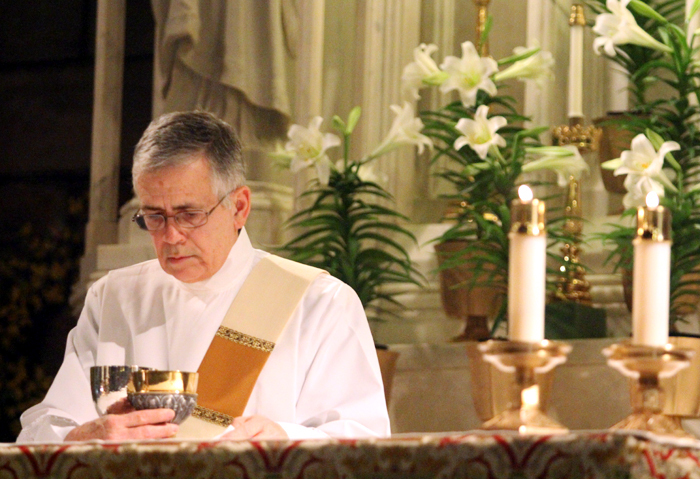 Deacon Francisco Henriquez prepares the altar for the Liturgy of the Eucharist. 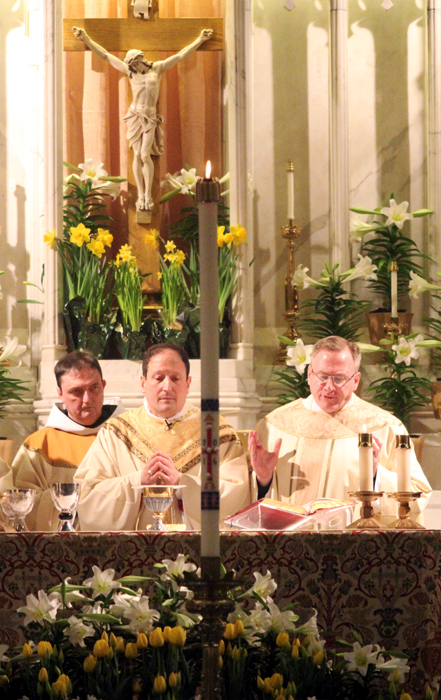 Concelebrating the Mass from left are Augustinian Father Russell Ortega, Bishop John McIntyre and Father William Donovan. 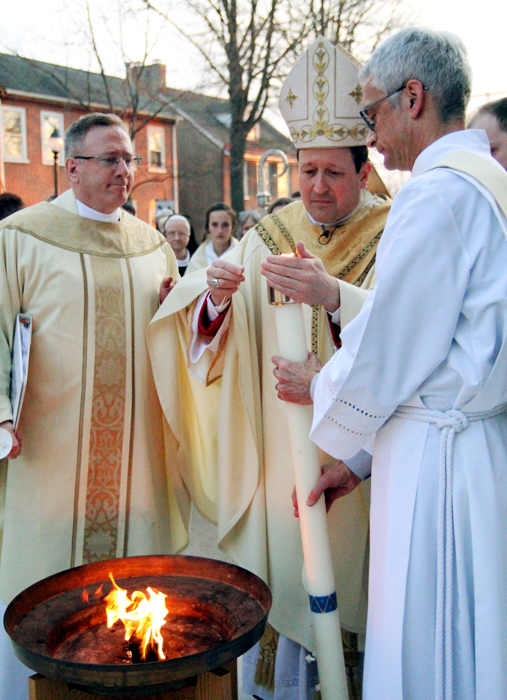 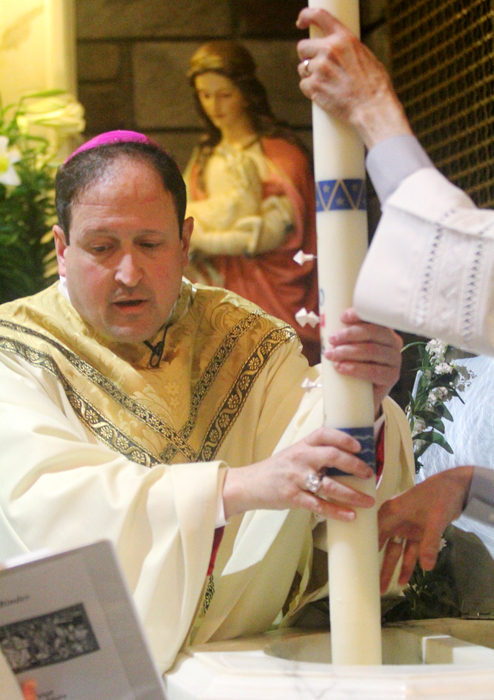 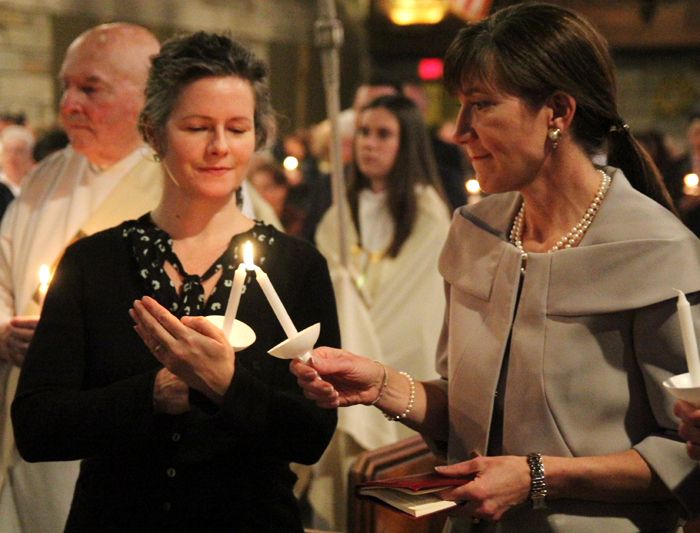 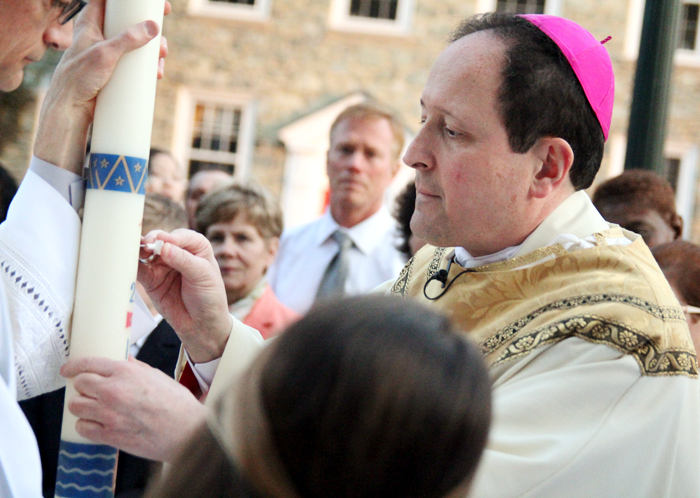 Bishop McIntyre places pins in the sign of the cross into the paschal candle during the Service of Light at the start of the Easter Vigil Mass outside St. Agnes Church. 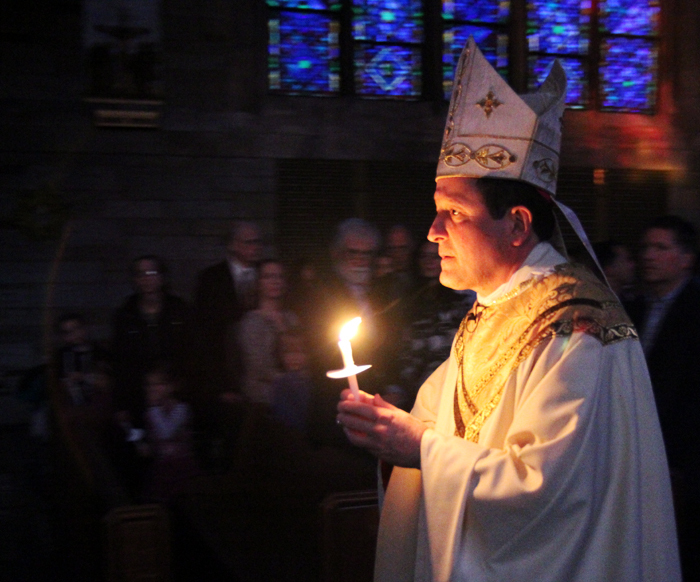 Bishop McIntyre lights the paschal candle, from which worshipers’ candles will be lit inside the church, from the Easter fire lit outside during the Service of Light. 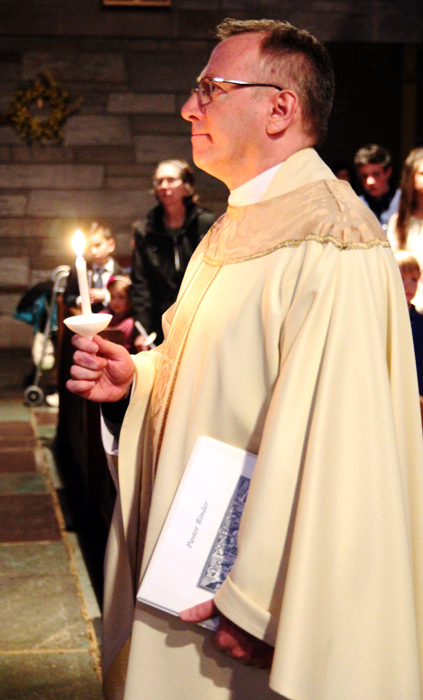 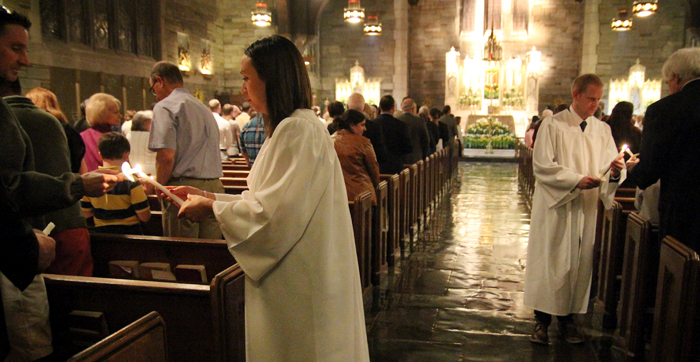 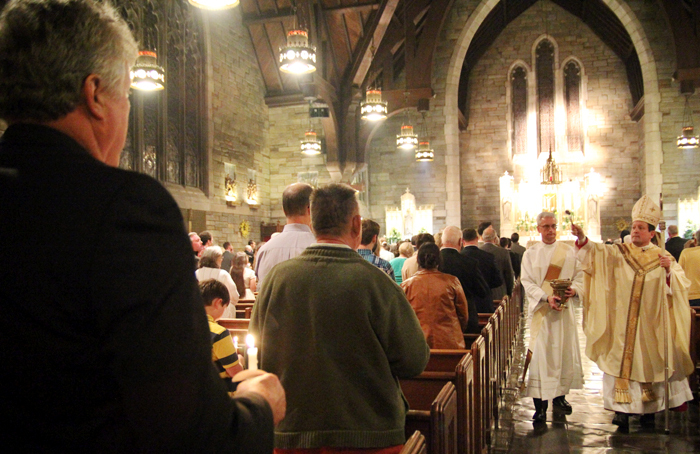 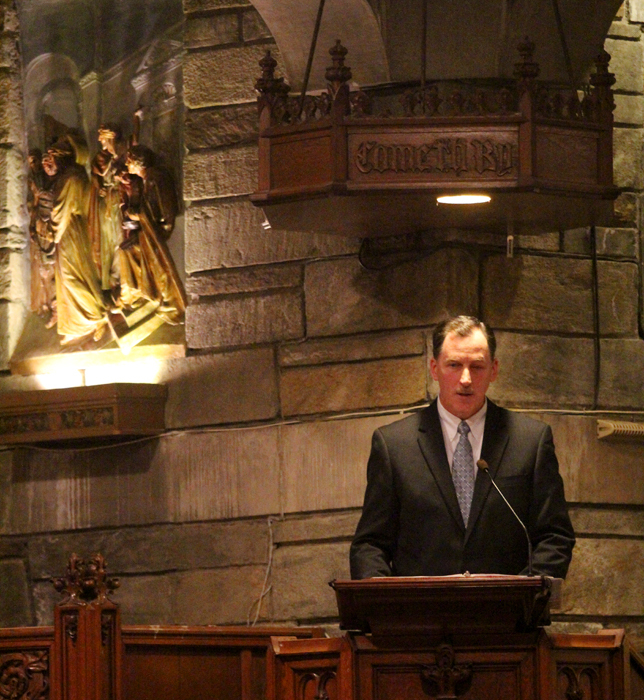 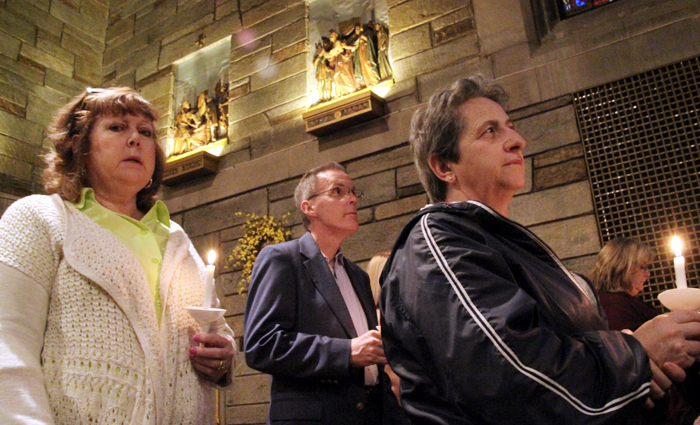 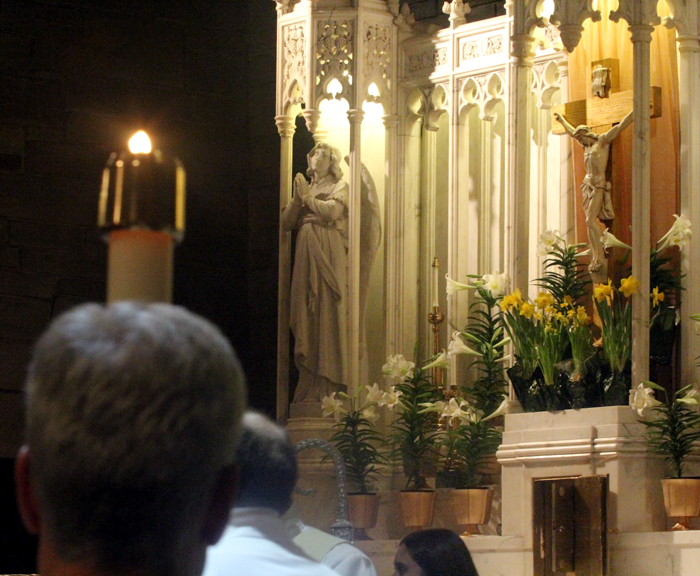 Father William Donovan, pastor of St. Agnes Parish in West Chester, processes into the church for the Easter Vigil Mass. 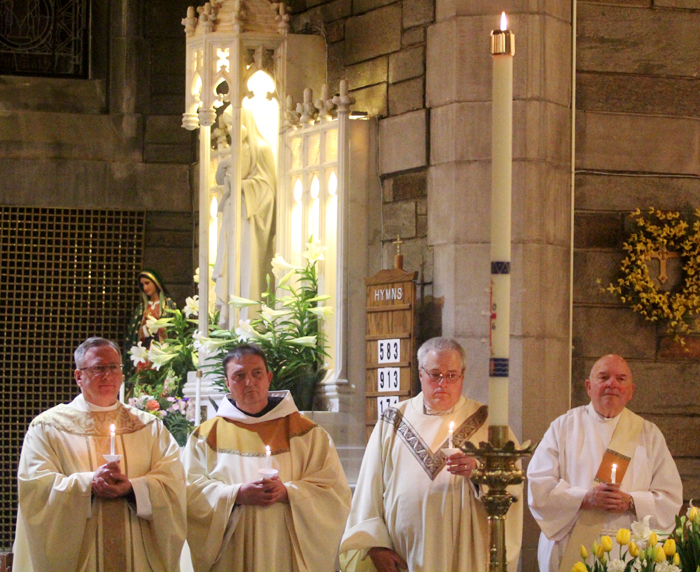 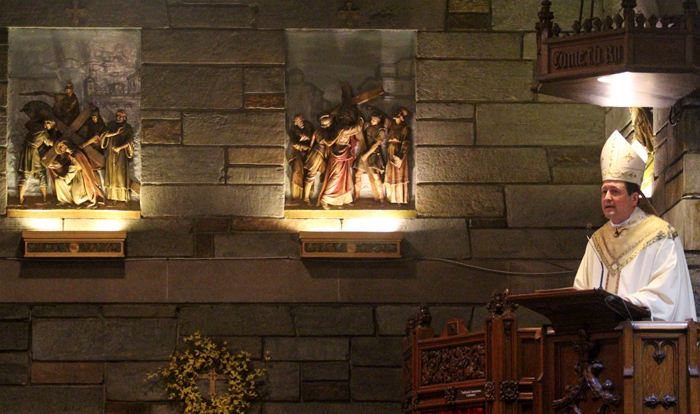 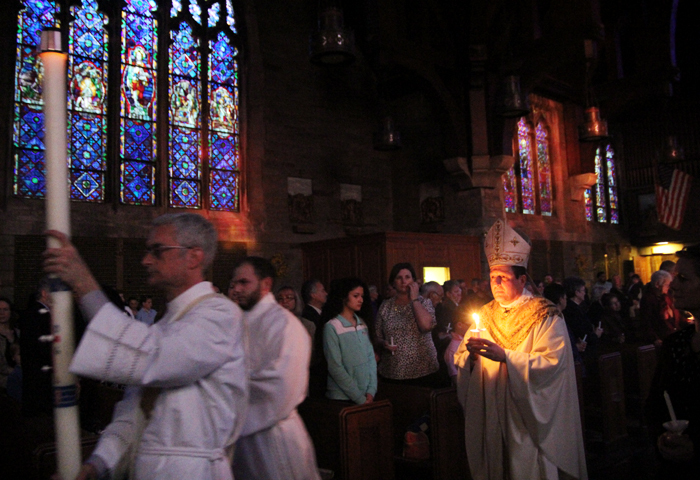 The paschal candle’s flame spreads from person to person inside St. Agnes Church at the start of the Mass. 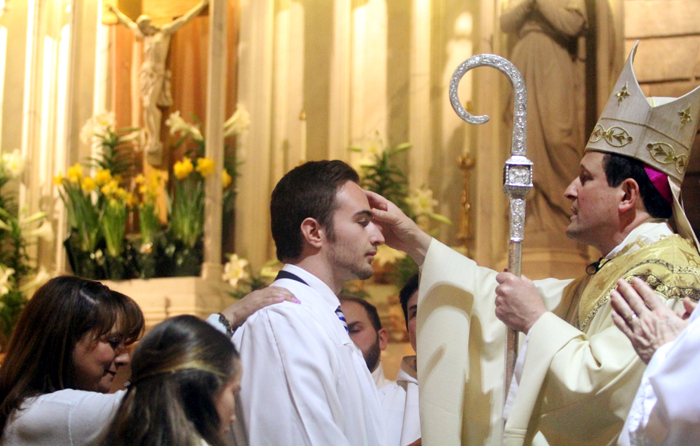 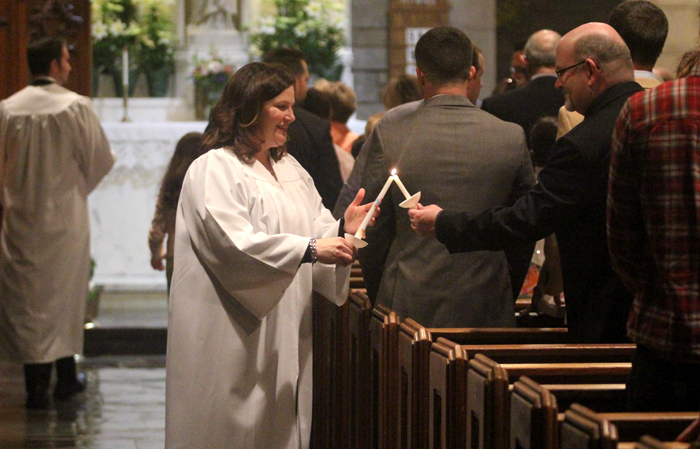 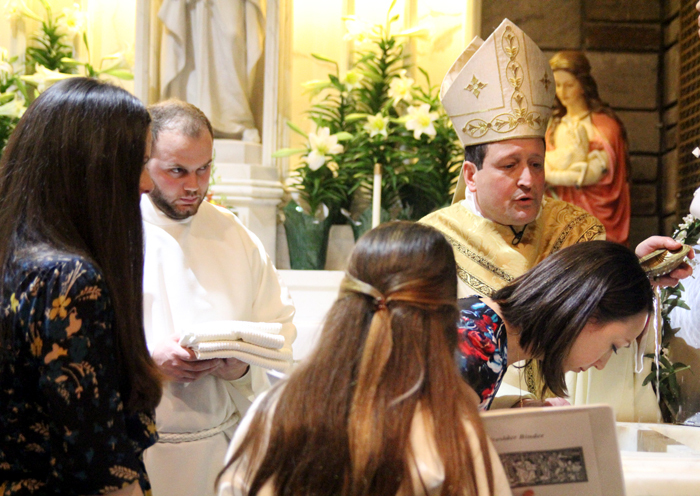 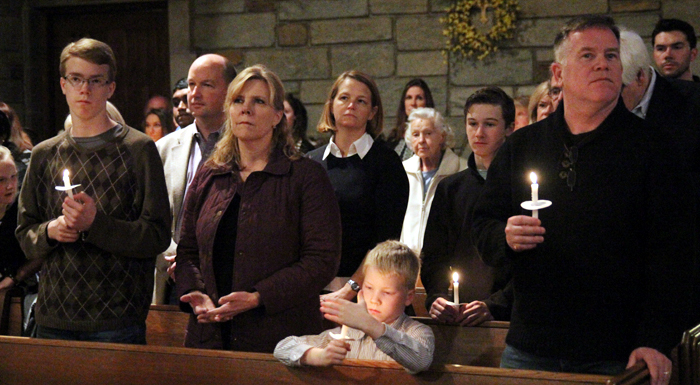 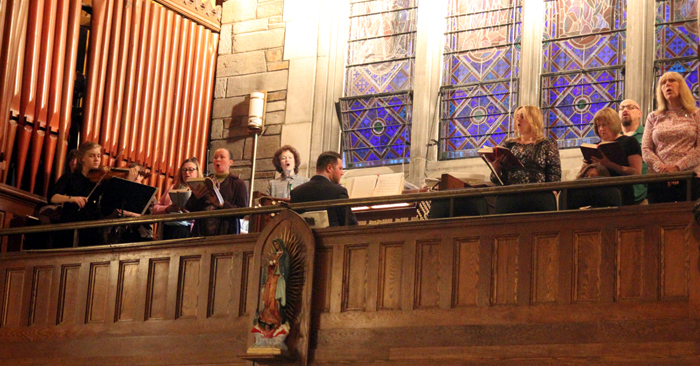 The Livezey family from St. John the Baptist Parish in Manayunk attended the Easter Vigil Mass at St. Agnes Church in West Chester, where six people were received into the Catholic Church through the sacraments of baptism and confirmation. 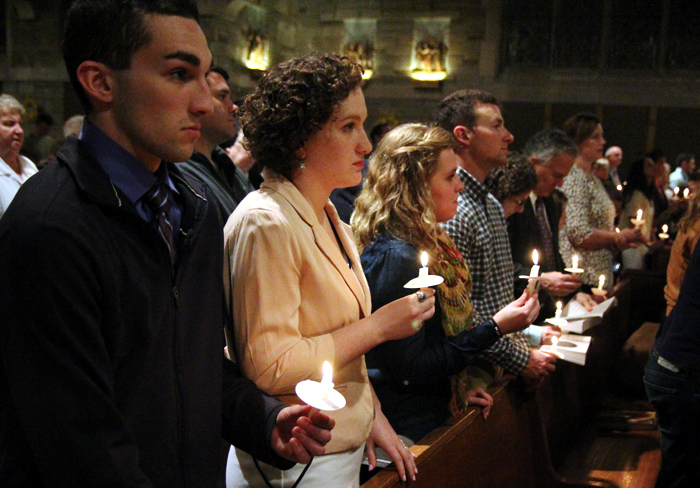 The newly confirmed light the candles of worshipers in the church. 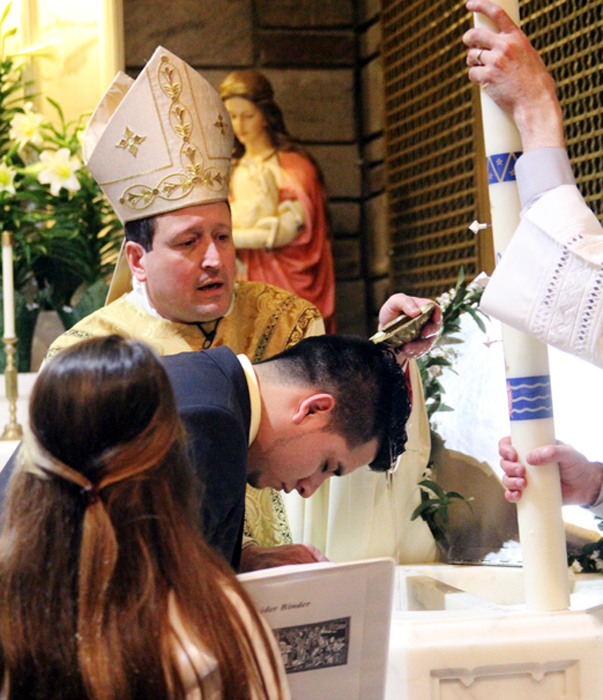 Bishop John McIntyre sprinkles the faithful with holy water after they renewed their baptismal vows at St. Agnes Church in West Chester. 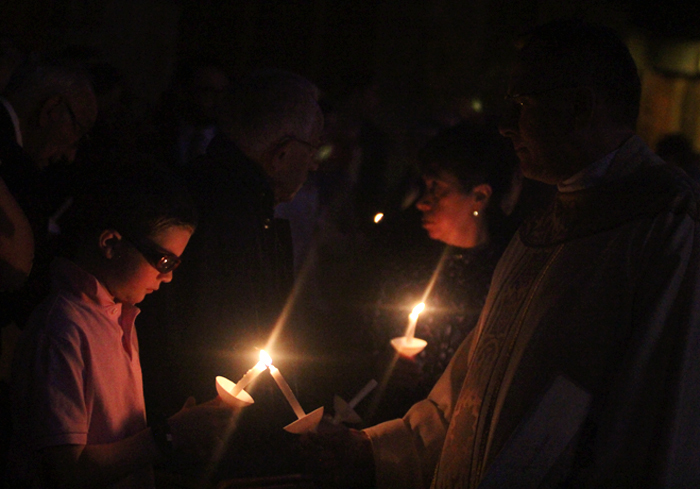 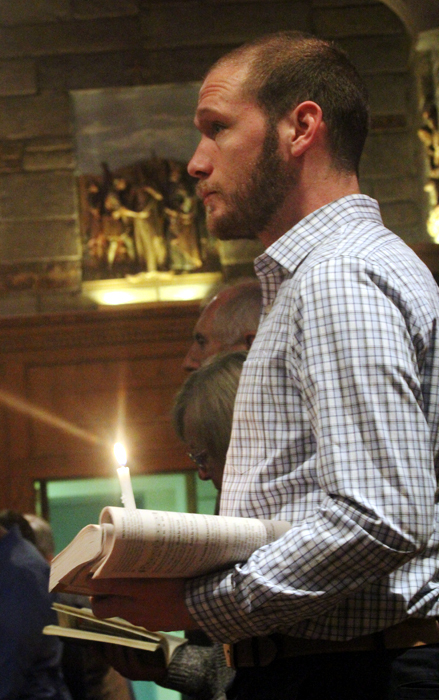 Father Bill Donovan lights the candle of a young man as he processes up the aisle of Saint Agnes in the dark. 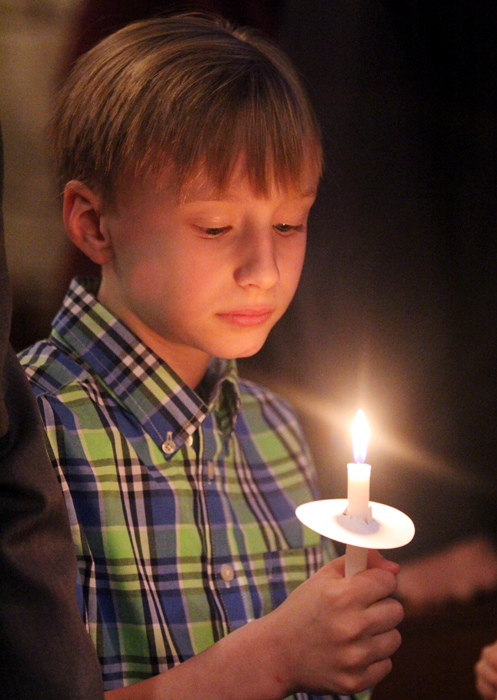 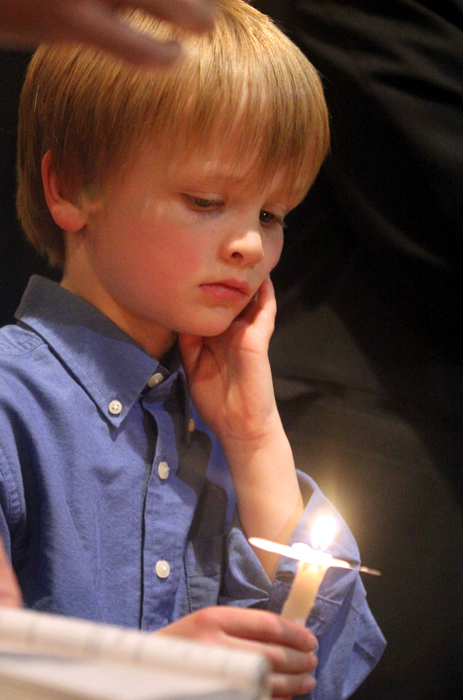 Dominic Zak is fixed on the light of his candle which was lit from the paschal candle. 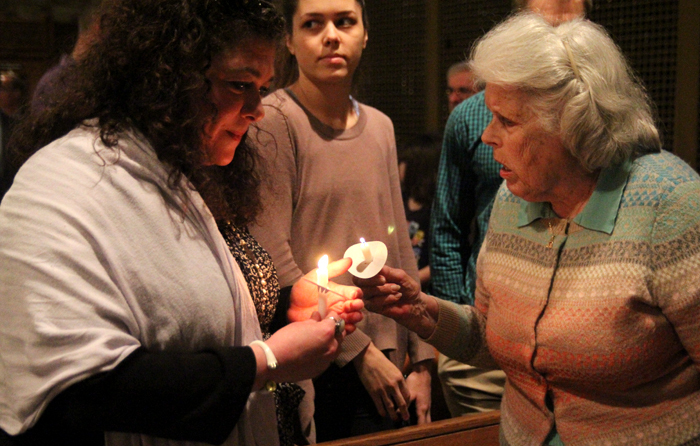 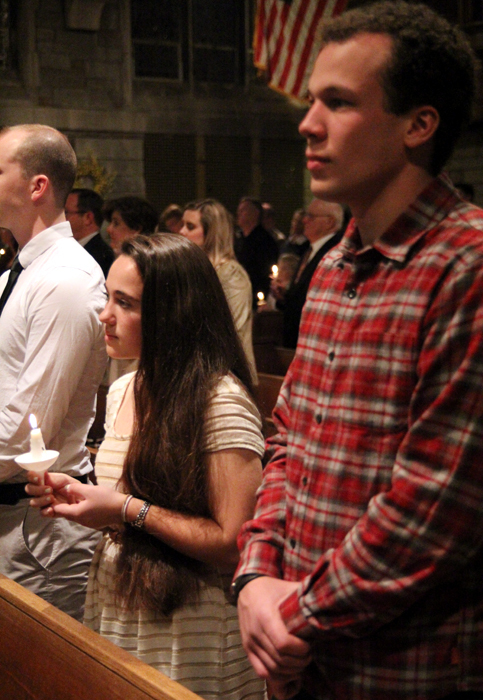 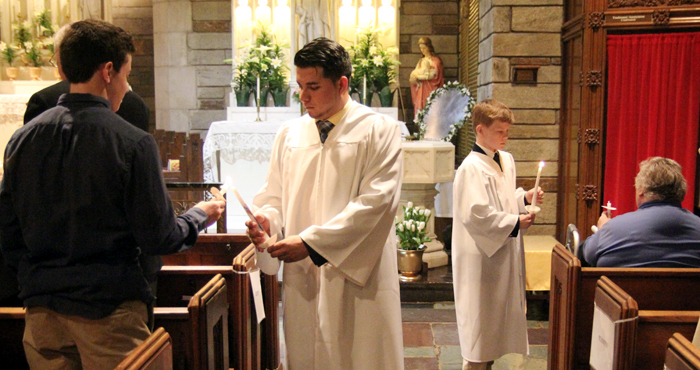 A newly confirmed members of St. Agnes Parish lights the candles of her fellow parishioners.